Sari didn’t have the easiest start to her life but then she was trained to be a service dog that could detect when a diabetic’s blood sugar was getting low, which is how she came into my sister’s life. These days she’s retired from service work and the sweet tail-less pup enjoys walks and belly rubs. Although she lives far away in Georgia, she got to meet Ellie a few years ago when my sister visited us in Portland. 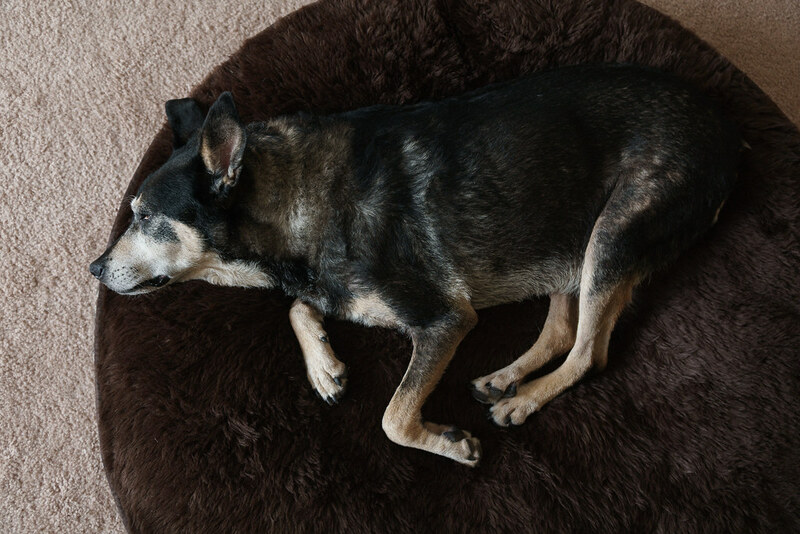 This entry was posted in Pets and tagged dog, dog bed, Sari, sleeping. Bookmark the permalink.